Plotting a Mid-Life Career Pivot: Where to Start? | Good Life. Better. 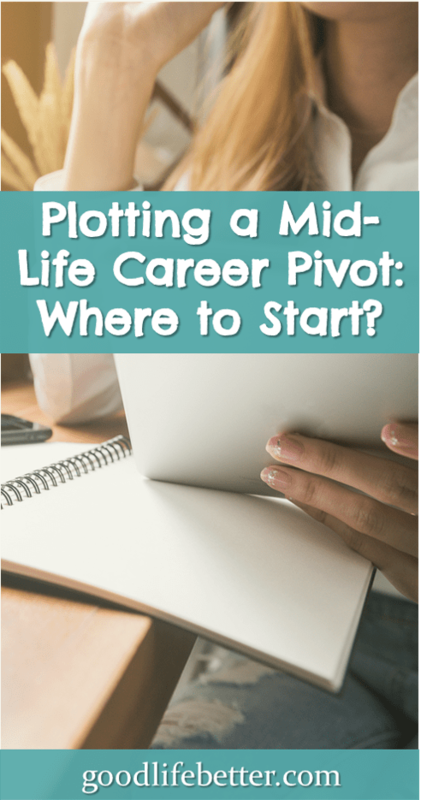 Plotting a Mid-Life Career Pivot: Where to Start? While Millennials may be known for switching jobs frequently, they aren’t the only generation to do so. According to recent data from the U.S. Bureau of Labor Statistics, in 2016 the median number of years those aged 35-44 had been with their current employer was 4.9 years. This was higher than for those aged 25-34 (2.8 years) but still much lower than for those aged 45-54 (7.9 years) or 55-64 (10.1). What this data doesn’t tell us is if—in addition to switching employers—these younger Gen Xers were also transitioning careers. I can’t be the only 40-something-year-old looking for something more out of the second half of my career, right? The million dollar question is, what is that “something more”? I generally like what I am doing and often, when I explain it to others, I am struck but how cool it is that I get paid to do something that I would probably on some level do for free. Because of this, I have concluded that my “something more” isn’t a career overhaul but a career pivot. Inevitably when I think about pivoting, I think about the basketball player who keeps one foot planted while she scans the court to see which of her teammates is in the best position to score and then maneuvers to throw that player the ball. The one foot stays put while the other foot moves in the next best direction. Similarly, with a career pivot, instead of abandoning one career to try something completely different—which could entail starting at the bottom and working your way back up a different ladder—you use the skills you have built in your current career to transition to a related field. Sometimes the move could be a natural progression—the head of public relations department who transitions to consulting on PR for other companies. Other times, it could be applying current skills to a new subject matter (e.g., the family law attorney who opens a wills and trusts practice). There is a small learning curve, of course, but in both examples the skills from the prior position allow for rapid growth in the new position. When I started to think seriously about what I wanted to do next, you can imagine the first place I went: the library (you thought I was going to say Google, right?). I know it’s old school, but I like reading books and since I am trying to save money, it was my best option. One of the first book I picked up was Pivot by Jenny Blake. Throughout the book, she recommends different exercises to help with your Pivot and I worked through most of them. Two I am going to share here are the values map I created and my personal equation for happiness. Now, I have to admit to being skeptical in the past about these kind of things, having participated in one too many strategic planning sessions that were neither strategic nor resulted in a plan. However, this time it worked. Below is a picture of the map I created. It’s a little messy but I think you will be able to read it. To not wait for life to happen to me (I happen to it!). I learned a lot from these exercises not the least of which was that sometimes you can learn a lot from these types of exercises (but I am still dreading the next strategic planning session I will be asked to attend). 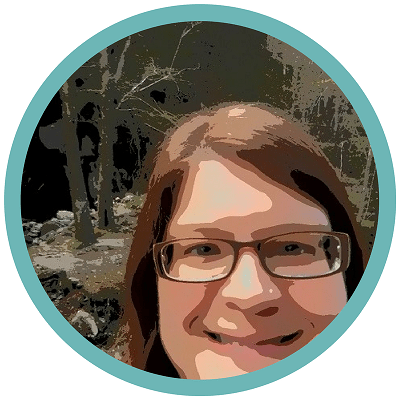 They reinforced that I can’t consider my work in isolation from other parts of my life because of how it affects my overall well-being and my ability to achieve the priorities I identified. I still haven’t decided if I want to leave my current position but I have found myself being more thoughtful about how I spend my time during the day and to be more assertive about the assignments I am given. I have also used these exercises to inform my work outside my 9 to 5, including starting this blog. It is somewhat unrealistic to rely on a job to satisfy everything I want in my life. However, if I combine this work with other projects, it might add up to the life I am seeking. Whatever I end up doing, uncovering my priorities has been amazingly helpful: when weighing new opportunities, I know what I value most and can use these values to inform my decisions. Don’t just think about what you can do, but what you want to do. 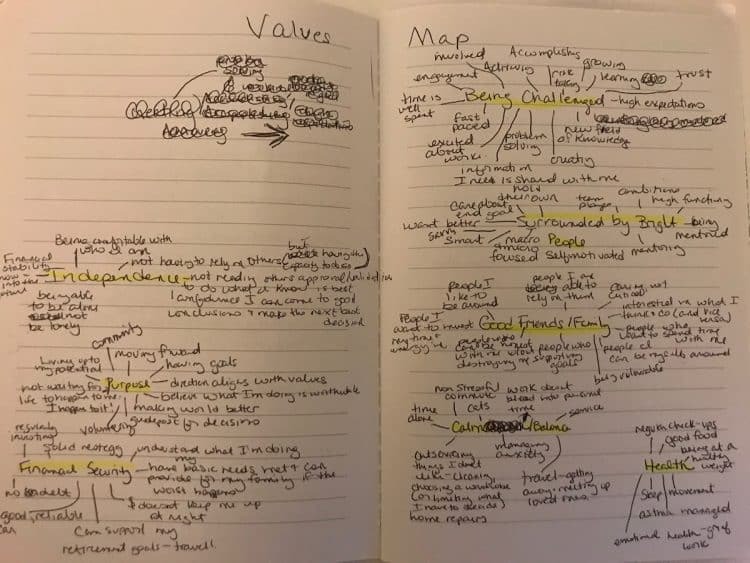 I found the exercises from the book Pivot to be immensely helpful because they forced me to reflect on what I valued and would make me happy, not just what I felt qualified to do. 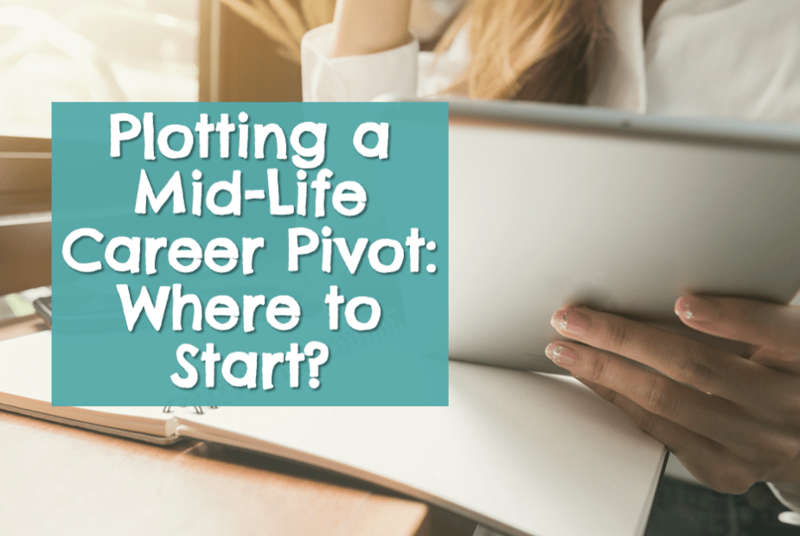 If you start your career pivot by looking at job postings, in five or ten years, you may find yourself right back where you are now. Circumstances will arise that inevitably make change difficult but keep working at it. If you can’t do it all at once, identify what you can do and start working toward that (this article on side hustles is a good place to start: Is a Side Hustle Right for You?). And finally, do not apologize for wanting more: more satisfaction, more balance, more upward mobility, and especially more money. You may have gotten where you are today with the help of your current employer but if where you want to be tomorrow is different then go. You get to put yourself first! 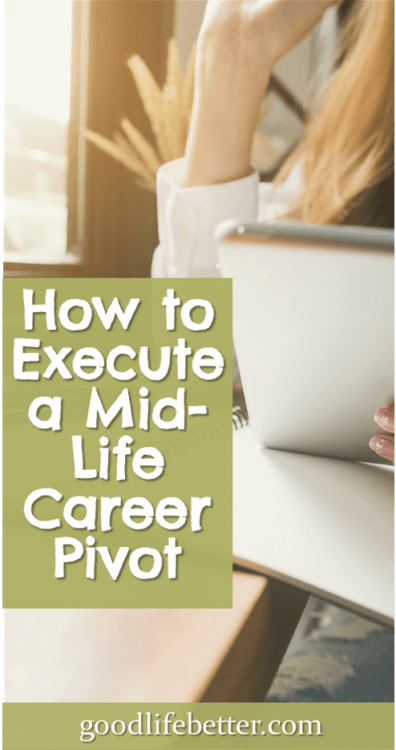 I would love to hear about your experience with a career pivot. What steps did you take? How did it work out? Let me know in the comment section below.